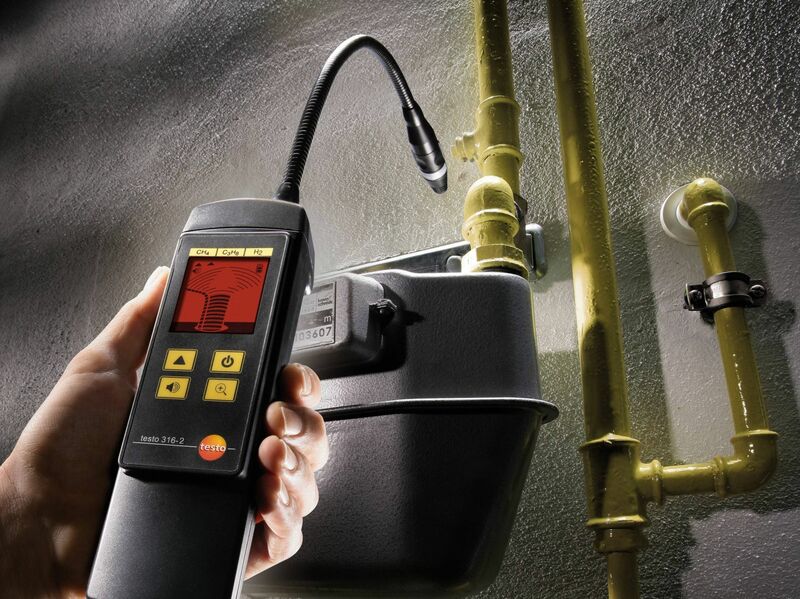 The testo 316-2 ensures speedy and sure gas leak detection. This gas leak detector provides you with a quick and reliable means of detecting methane, propane and hydrogen in the surrounding air. The gas concentration is displayed in the form of an easy-to-read bar and an alarm is triggered when a threshold is crossed. 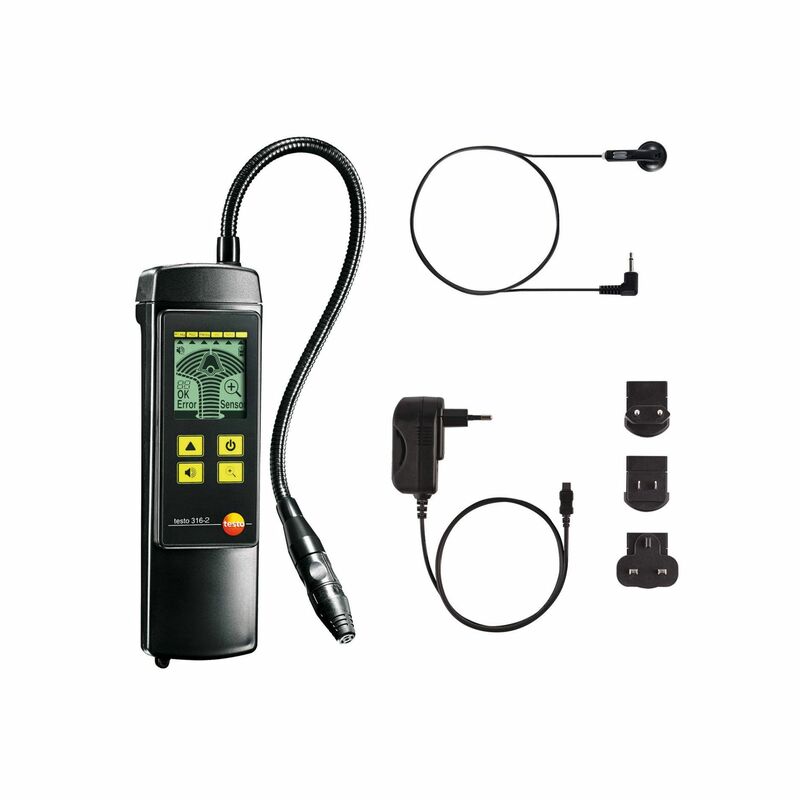 Whether it’s for carrying out checks on flanges, fittings or any other places that are typically prone to leaking, the testo 316-2 gas leak detector provides you with a speedy and sure means of detecting higher concentrations of methane, propane and hydrogen in the surrounding air. Even if you already know that a pipe is leaking, you normally still have a long way to go before you can actually locate the leak. The testo 316-2 gas leak detector is just the right tool for carrying out such pinpointing gas leak detection. 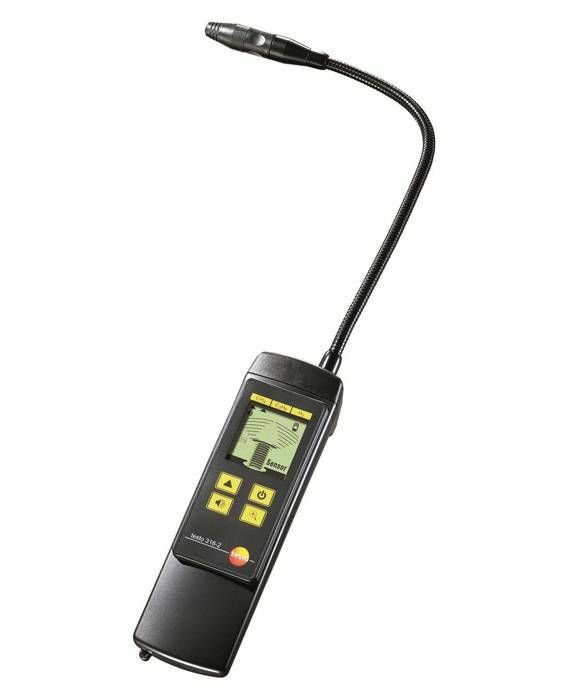 The detector’s easy-to-read 18-step bar display and maximum leakage reading show the concentration of combustible gas in the surrounding air and lead you quickly and reliably to the source of the leak. The detector also has an audible alarm that warns you when a threshold is crossed and a headphone jack which allows you to connect earphones for more focused and productive working in loud or distracting environments. 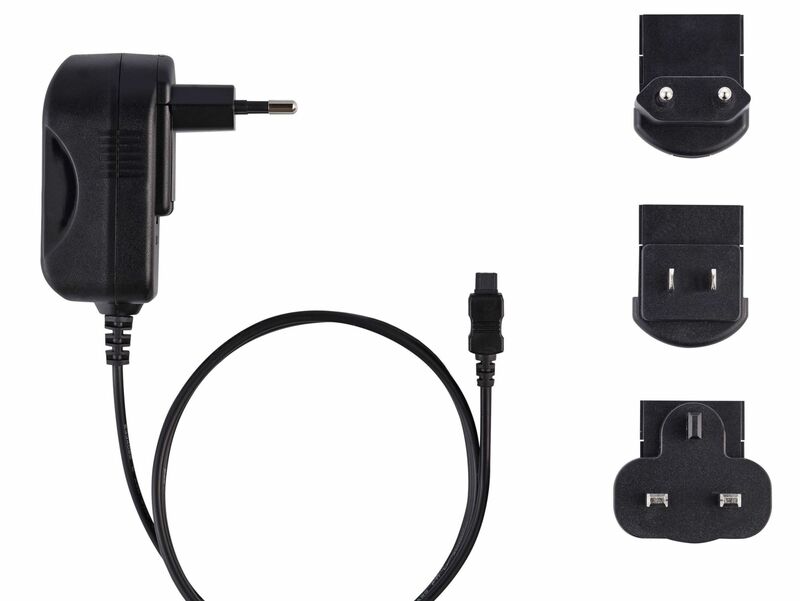 testo 316-2 gas leak detector, power adaptor,earphones.